Are Police Acting Like Thugs Because Judges Refuse to Defend the Constitution? 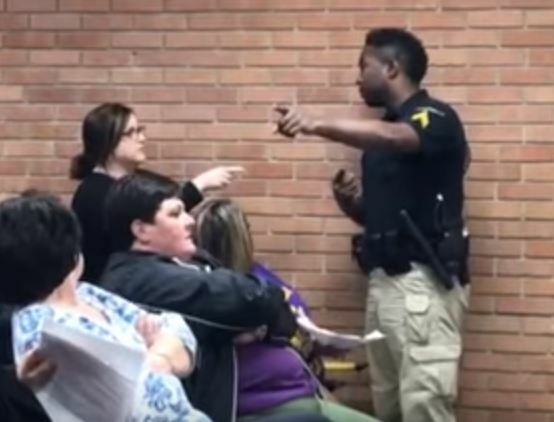 Teacher Deyshia Hargrave was questioning the school board how they can vote to give the superintendent a raise when school employees have not gotten a raise in years. A policeman from the parish Marshal’s Office told her to leave the room. He shut down her freedom of speech to even ask a question in a respectful manner. He ordered her to step outside, pushed her to the ground, and then arrested her dragging her out in handcuffs. The question this presents is why are police officer lacking any training about human and constitutional rights. Far too many seem they believe they are supreme in their authority and need not answer to anyone. This evolves because judges are not defending the constitution as a whole. There are no checks and balances anymore. What happened to “We the People” in this modern day?